Chuck Norris doesn't do the splits, the splits do Chuck Norris. Hey, Jean-Claude Van Damme. 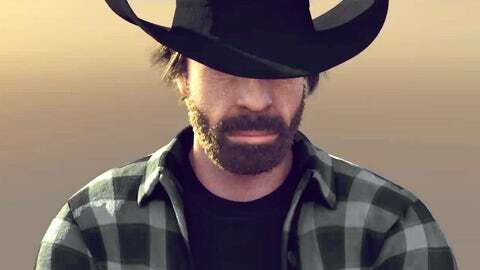 Chuck Norris sees your commercial and raises you. Actually, we think he went all in. A new video that’s going viral right now features Norris doing a split between two jumbo jets with 10 airmen balanced on his head. The soldiers are adorned with Christmas lights and set-up in a tree-like formation – think a college cheering squad’s pyramid 30,000 feet in the air. This ‘commercial’ doesn’t actually advertise anything. But who cares? It’s awesome. There won’t be a better one during the Super Bowl in February. Chuck Norris has clearly won this battle. Your move, Van Damme. And hey, when do we see Anderson Silva up the ante?